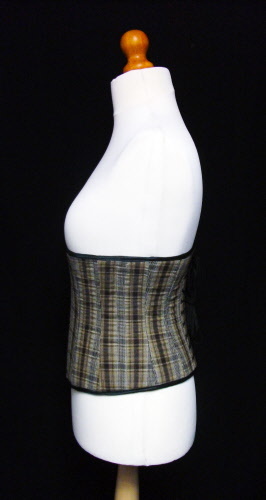 Fits under the bust but are longer than a waspie. 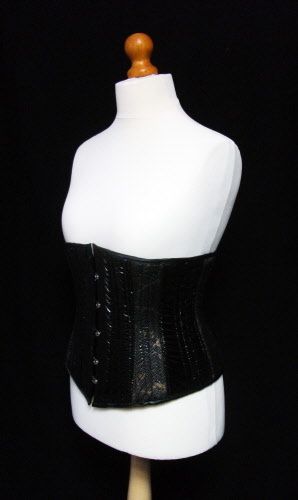 These popular corsets are very comfortable and versatile. 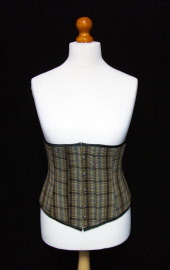 Long-line underbusts are available with either the traditional busk or our strong zip fastener. 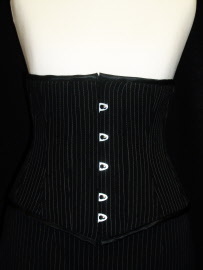 Our long-line pinstripe is a versatile corset and one of our biggest sellers. 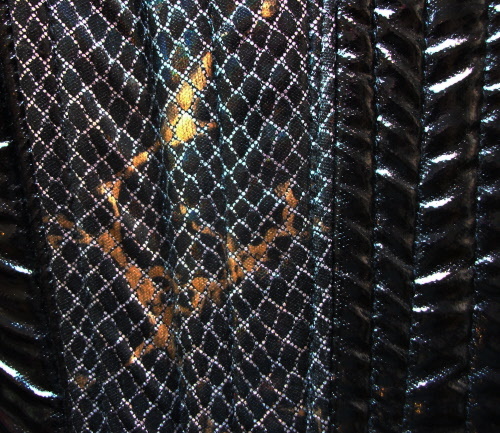 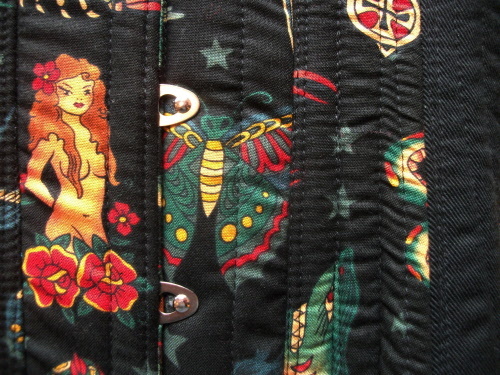 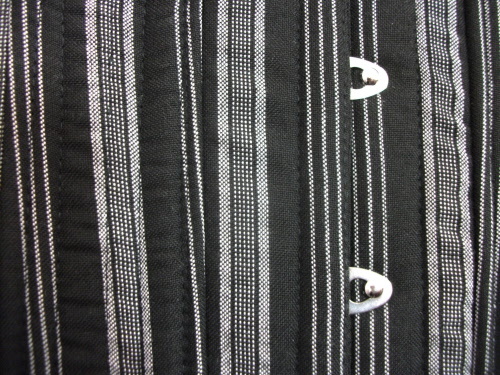 This corset has a couple fewer bones than our other designs to keep the pinstripe pattern. 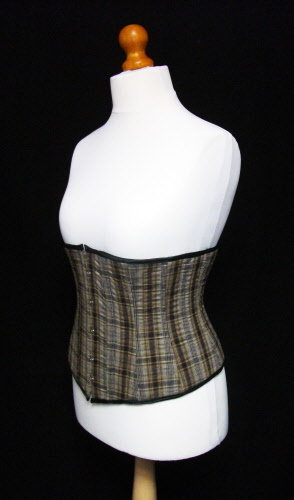 It will still give you our flattering instant shape but is slightly softer and, some say, even more comfortable! A subtle lilac tartan compliments the black duchesse front to give a striking look to the waist. 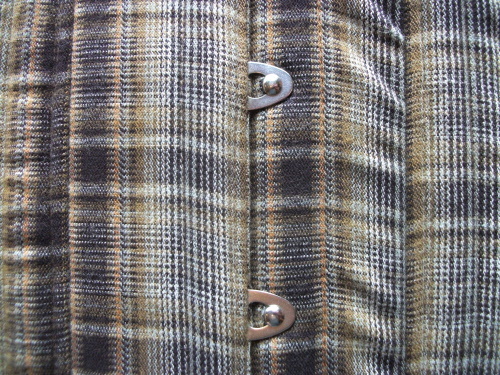 We only had a small piece of this tartan so this is a one-off! 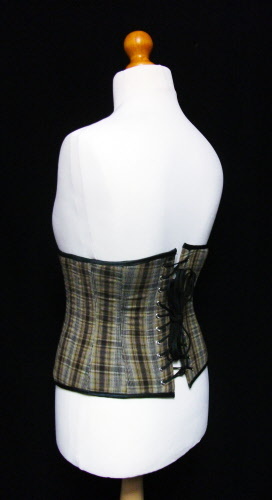 "Tattoo" pattern and complimentary black panels gives this corset a unique look. 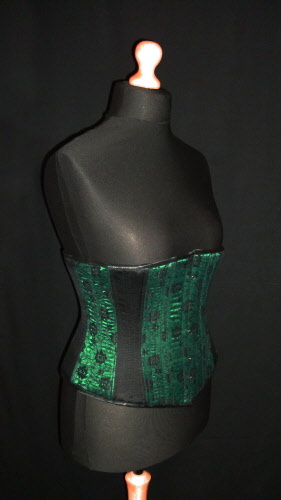 Fits under the bust to compliment a top, dress or for the burlesque look. 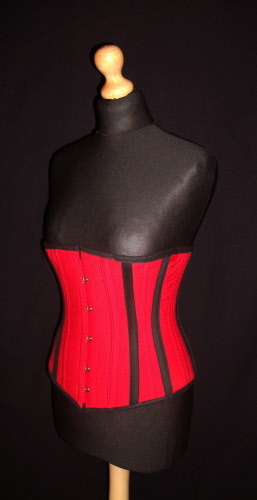 Striking red cotton corset with red "bias" stripes to compliment the shape. 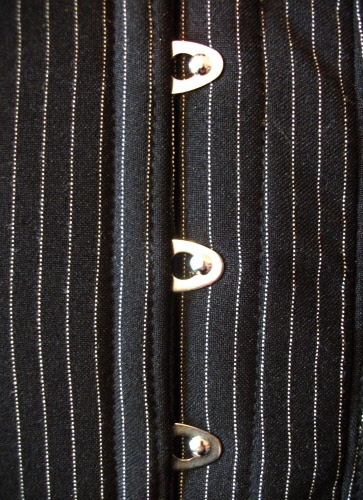 Looks particularly good fitted and pulled tight thanks to those black accents! 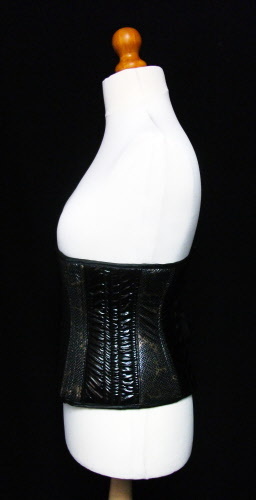 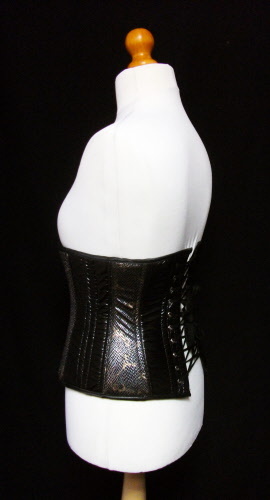 A really unique corset, this long-line underbust is made with our soft black PVC and four amazing black/silver/bronze snake skin PVC panels! 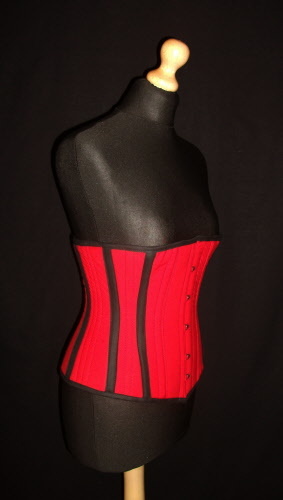 A very comfortable corset, the soft PVC fits just below the bust down to the hip. 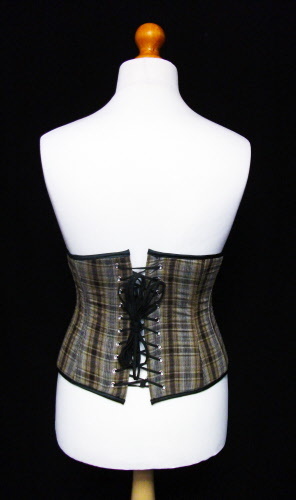 Lovely soft fawn tartan long-line underbust corset with black satin bias trim. 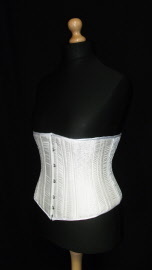 A comfortable and understated corset that gives a great shape when pulled in. 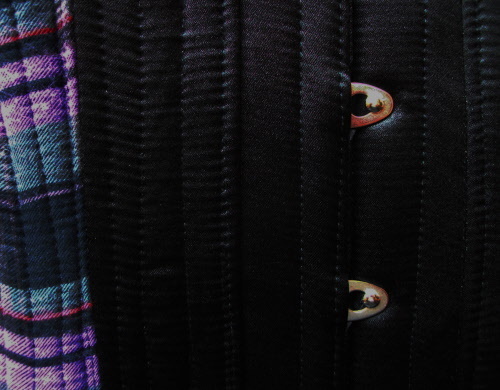 The tartan is a subtle blend of browns & creams that goes well with a white, cream or black. 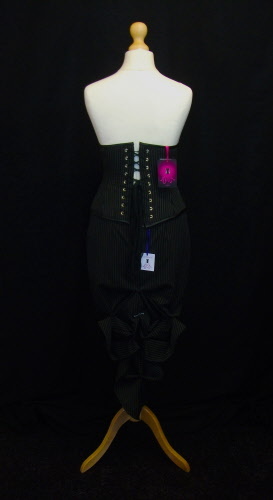 We also made our unique Fawn Tail Skirt to compliment this corset! 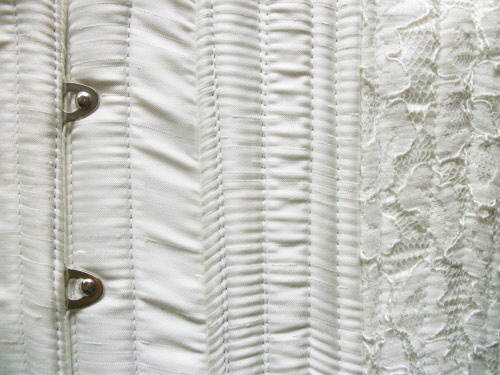 Dupion satin with selected panels highlighted with ivory lace. 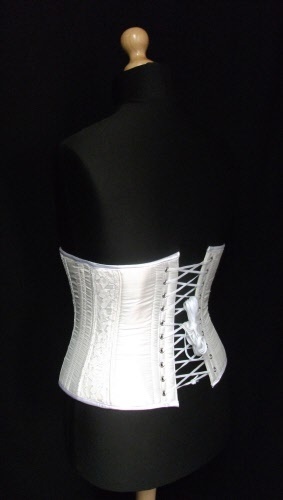 Trimmed with white duchesse satin bias and a white lace, this longline underbust comfortably shapes the torso giving an elegant and delicate look. 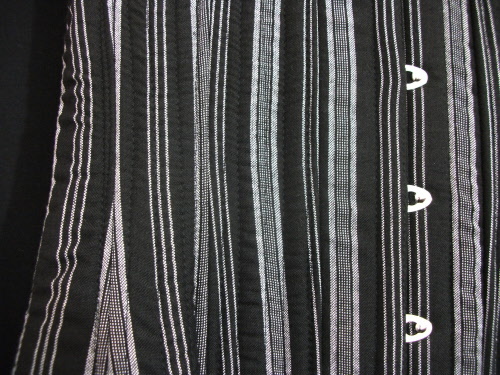 Bolder than a pinstripe, this black fabric with patterned white stripes stresses the fabulous shape! 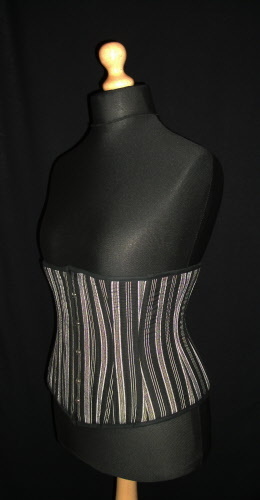 The vertical stripes give a great accent to the curve given by this longer underbust corset. 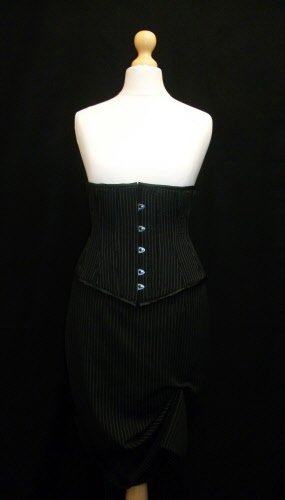 Looks amazing with something simple like a black skirt & white shirt! 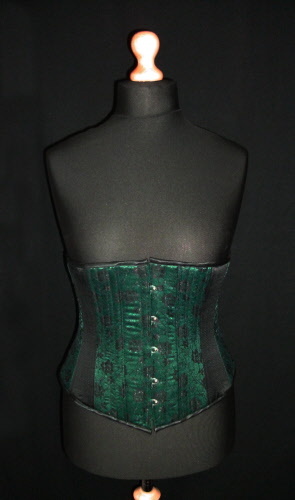 Green Satin overlaid with black lace and black duchesse satin panels in a comfortable longline underbust corset. 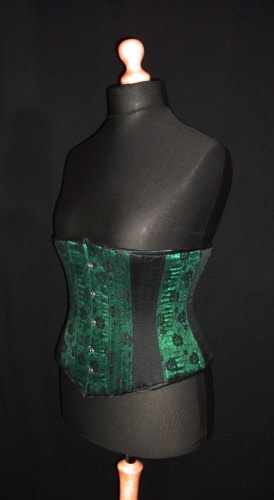 Floral black lace over green satin with black satin panels to highlight the shape. 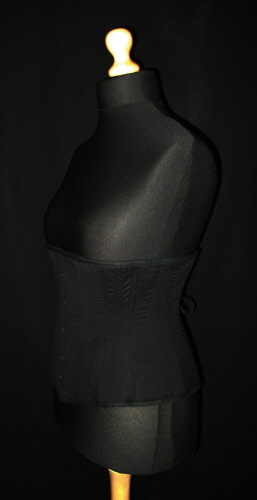 Finished with black duchesse satin bias, this gives a unique and elegant look. Very popular and versatile corset. Looks great with a white top & black trousers or over a dress. 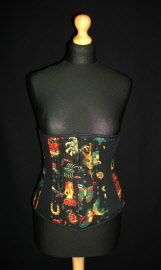 This is a hard wearing corset that can be worn with almost anything! 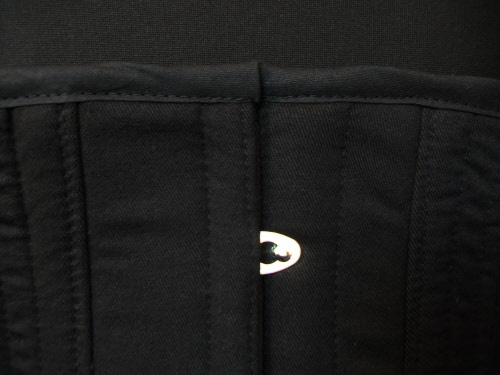 The matte black cotton also lends itself to be warn to shape the body under clothes.